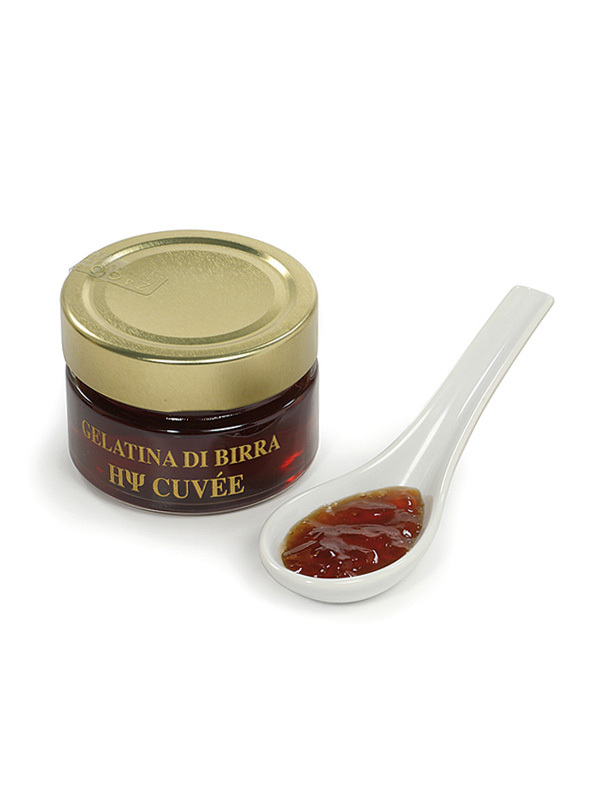 It is recommended to taste along with the HΨ Cuvée beer, or over the Panettone, produced with the same beer. Ideal over panna cotta, blue cheeses, dry pastry, mascarpone e goat’s cheeses. These eating beers are obtained by processing The Original HΨ and HΨ Cuvée, pure and not diluted. They have a jam consistency but all the beer taste. Ready to be eaten, they do not need to be cooked and they don’t cover food’s taste but, on the contrary, they exalt it by creating delicious and succulent juxtaposition. The Original HΨ jelly beer gently evokes the fresh yeast, malt and hop scents, the same flavours that you can find in the beer itself. This jelly is in fact made with The Original HΨ, a double malt triple refermentation beer produced with the “Champenoise method”. 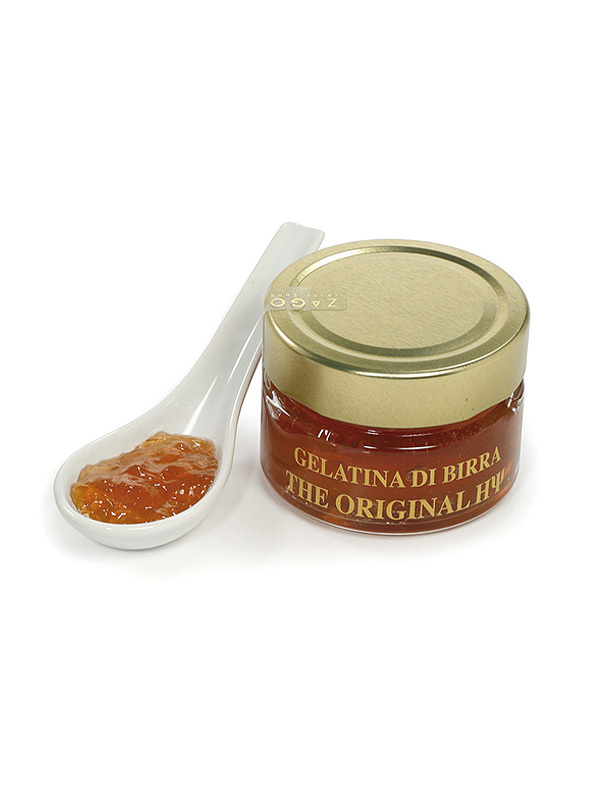 With its golden color, this jelly is consistent, with a balanced and persistent flavor on the palate. HΨ Cuvée jelly beer stands out for its spices and surprising nuances, capable to emphasize even the most full-bodied flavors, and even for its coppery color, due to the toasted malt. This jelly is made with The HΨ Cuvée, double malt triple refermented beer produced with the “Champenoise method”, and it has a smooth and well-structured consistency.